Wherever a reader lands on this novel, I have to marvel at the fury it has produced. The stream of festering vitriol I’ve seen directed against Chuck Wendig is as astonishing as it is tragic. Who knew a gay character turning down a taste of the alien strange would set a corner of the internet ablaze? Oh wait, it’s the internet, never mind. Moving swiftly on, allow me to establish a baseline for evaluating this book. Star Wars, on screen, is as good as it is bad. From my point of view, the line between good and bad in Star Wars is Lawrence Kasdan, Dave Filoni, and Matt Michnovetz. I’m the guy who thinks that Empire is better than Jedi. I’m the guy who thinks the Darkness on Umbara arc of The Clone Wars is on par with Empire. I’m the guy who thinks that Star Wars is better when it goes deeper and dirtier (phrasing), and that’s why I think Chuck Wendig wrote a hell of a novel. Whatever you think of George Lucas, one has to accept that he writes Star Wars for children. I don’t say this to cast aspersions, so much as to point out the obvious. Consider the good people of Coruscant pulling down a statue of Papa Palpatine after the Battle of Endor. A child would be fine with this scene because good is triumphing over evil – historical allusions notwithstanding. Adults look at that scene and ask why Stormtroopers aren’t cracking some skulls. Wendig begins his novel with the Imperial police opening fire on this very crowd. A post-Endor Imperial summit on the planet Akiva, an Outer Rim world that houses the balance of the story, provides a necessary catharsis for Star Wars fans who dare to think about the mythos in a serious way. Here we learn how Imperial power fractures absent Palpatine. Likewise, readers encounter Imperial voices far removed from the jackbooted caricatures often seen on screen. Admiral Rae Sloane (don’t call her the new Thrawn) asks her Imperial cohorts why the people of the galaxy wouldn’t be afraid of the Empire. In between the ever-so-brief interludes to fan favourite characters, Mr. Wendig focuses on players who embody the working people on both sides of the galactic civil war. Norra Wexley is a retired Y-Wing pilot with PTSD and a messed up family life. Sinjir Velus is an ex-Imperial Loyalty Officer (e.g. commissar), who escaped from Han Solo’s strike force on Endor, only to hit the bottle on Akiva. The aforementioned Admiral Rae Sloane is an Imperial starship captain intent staving off the Empire’s collapse while also demonstrating that not all Imperials are incompetent idiots. These are the stars of the novel, and they work because they buck the Star Wars convention of playing to easy archetypes. 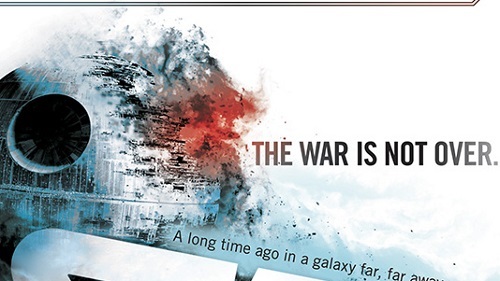 Meanwhile, the novel’s penchant for politics manifests in the New Republic, the Rebel Alliance’s successor state, coming to terms with itself as a once and former military junta. Even as the Republic’s strength grows, Mon Mothma argues for military disarmament. As readers watch the story unfold on Akiva, while both the New Republic and Imperial Remnant wring their hands over what to do next, they see why both the Old Republic and the Empire were/are failed states. Simply, neither could offer the Galaxy Far Away stability or peace. The Rebel Alliance, by its very nature was a destabilizing force. The Empire was as corrupt as it was brutal. Wendig takes it upon himself to build the New Republic as something that purports to let the galaxy find some semblance of calm. He’s not doing this singularly through high-minded speeches about peace and democracy. Nor is he pandering to what we might want in terms of epic space battles where Mon Cal Cruisers give Imperial Star Destroyers epic pastings. For that would only make the Republic a new sort of empire in and of itself. Instead, Wendig gets his hands dirty with the inevitable, ugliness of war. Child soldier brigades on Coruscunt, for example. Not bleak enough? How about refugees fleeing the anarchy of their homeworlds in the aftermath of the Alliance freeing, but not holding, an Imperial world. Mr. Wendig uses the 20th century’s hangovers of military occupation and liberation as a thematic foundation for giving Star Wars some much needed depth. Some readers might cry foul at his making the Galaxy Far Away a dirty place, but like so many who lamented the loss of Star Wars: 1313, I’m content to roll around in the mud. So no, gentle reader, you’re not going to learn about what happened to Han and Leia after Endor. Nor will you be treated to a story of Luke rebuilding the Jedi Order. Instead, you’re going to get a story that treats Star Wars’ adult fans like reasonably intelligent people. We all know there’s more to the Galaxy Far Away than the dysfunctional and incestuous antics of the Skywalker clan, so why not explore it? Mr. Wendig, like Kasdan and Filoni, puts the war in Star Wars. War happens on many fronts, involving many people, and the line between those people is often a messy and changing thing. 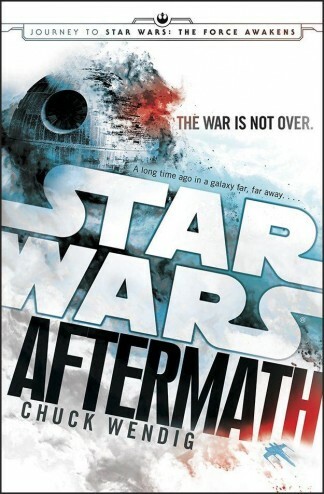 Aftermath effortlessly captures this notion, injecting a decidedly thoughtful and politically aware aesthetic into Star Wars. If you expect anything less than that in reading Aftermath, then (hand wave) this isn’t the novel you are looking for. Move along. Hopefully, the tone of this novel will reflect the tone of the franchise. Lucas made his money off the toys, which explains a lot. With that removed, we might go in another tonal direction.